Another weekend whiffed by and whoa, it’s December! 2018 is almost done, that is crazy. We’ve been getting so much rain here lately that things are starting to look green and clear which is such a welcome change after all the smoke. Miko has been happy to snuggle in his blanket and skip the cold and wet weather. It was so rainy, cold, and windy one night two birds stayed sheltered in our patio overhang all night, just slept in the corners and did not seem bothered by the dogs going in and out. Maybe I need to put up a birdhouse for them in the future! It was beautifully clear for this mornings 6-mile run where there were plenty of geese enjoying our fuller ponds after the rain. 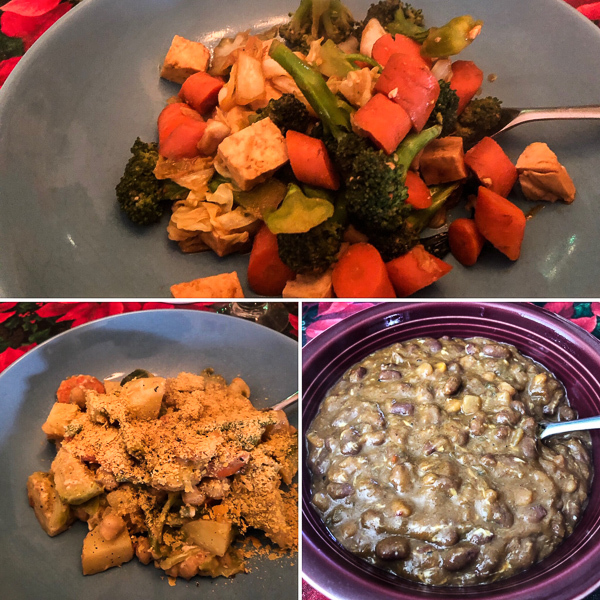 Eats at home have been pretty basic as I try to get back to a healthier place after Thanksgiving with simple tamari tofu stir fries, creamy potato saute saute, and Amy’s Organic vegan chili. 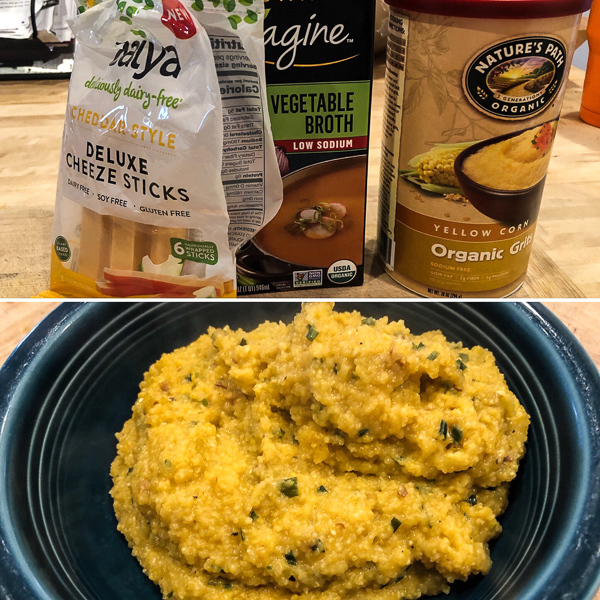 While I was at Grocery Outlet last weekend, I grabbed Daiya Deluxe Cheeze Sticks and I’m not sure why, they were a great price and something new to try. Turns out they’re kind of fun to use in recipes and melted nicely chopped up into savory and cheesy grits. 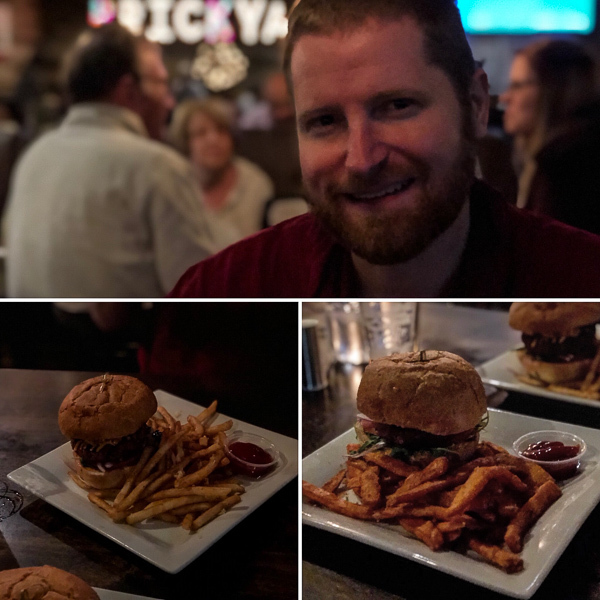 Friday we stepped out to Brickyard for their delicious Beyond Meat vegan burger creations. I got the sweet potato fries which were great, but hubby’s garlic fries were seriously delicious too! 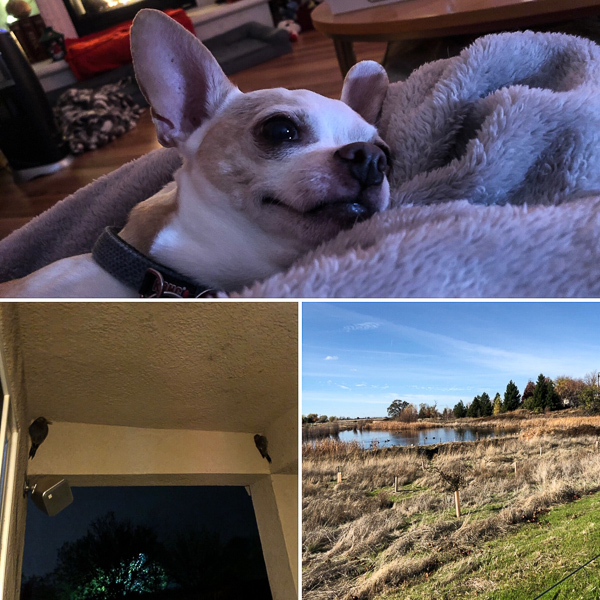 Weekends in December can be tricky because it seems like there are so many fun holiday events going on and not enough time. 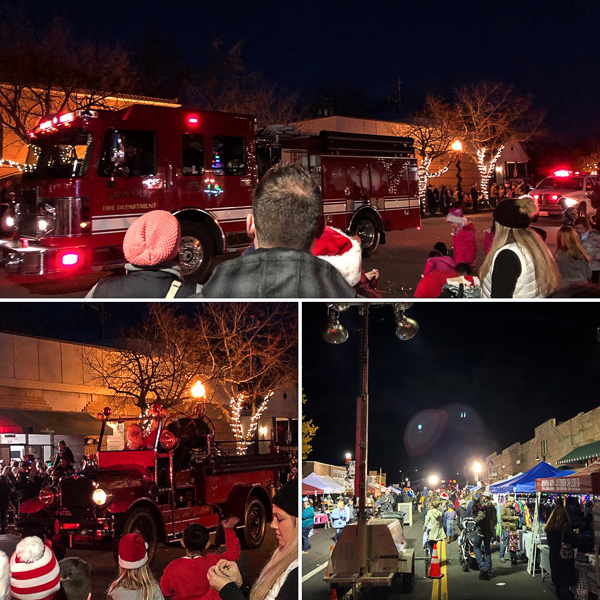 Last night we stepped out to our local Christmas Parade and Tree Lighting event in Old Town where it was packed! We had to park a few blocks away and walk into the parade. It was cute, the main street was closed down for a vendor fair, the parade was lively and fun with Santa in a classic fire engine. It was cold with everyone bundled up, there were carolers, local shops were open late for shopping, and people were bringing their cute dogs. A fun event for a little Christmas spirit, but we opted to head back home for dinner because all the restaurants were packed in the area. 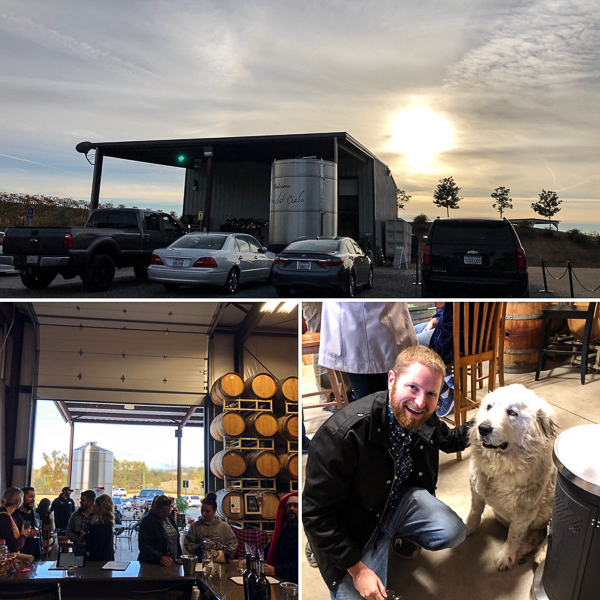 Today we went to Dono Dal Cielo for a book signing, it’s a fun little winery always hosting fun social events and is such a pretty drive to get to. Plus they have resident friendly dogs that love visitors. 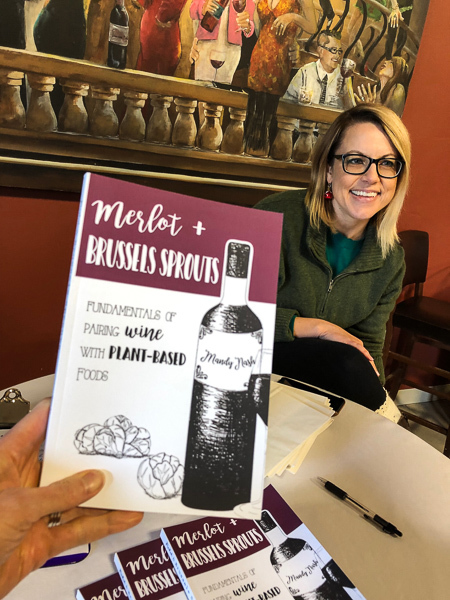 Hubby found out Mandy Nash would be there signing her book Merlot & Brussels Sprouts, pairing wine with plant-based foods so we wanted to check out a new local author. And she’s great! Kind of a jack of all trades in the plant-based world, author, fitness trainer, into nutrition, and a foodie. Had a great time chatting with her and looking forward to reading and trying the recipes from the book. 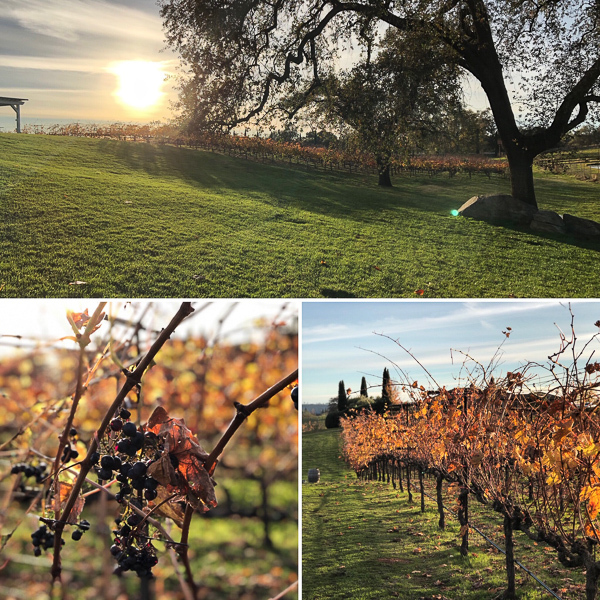 Of course we also tasted wines and roamed the beautiful vineyard in full fall glory. It was a nice surprise and great to get in a little scenery before the rain comes back in next week which is also welcome! But okay, to the list! Murphy Brown promotes a vegan Thanksgiving. And more people than ever enjoyed a meat-free Thanksgiving. Vegan lifestyle is the fastest growing lifestyle. Veganism at an all time high for the planet. The great debate on having a real or fake Christmas tree. Tips for lowering your carbon footprint. How to get started with composting. 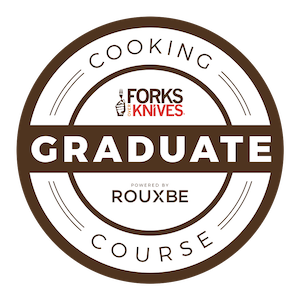 New program to support new vegans make positive changes. A guide for vegans and meat-eaters to keep the peace over the holidays. This is a great short video about a vegan couple in Wyoming. A new vegan documentary on YouTube. Keeping a vegan dog healthy. 7 reasons to shop at Lush for ethical vegan gifts. Brussels Parliament recognizes animals as sentient beings. Merlot & Brussels Sprouts? What a cute title, and great idea. I hadn’t heard of it before and although I don’t really drink wine, I’d love to check it out. Perhaps I’m just going about it wrong, so I’d always love to learn more. It is and it was the first I’ve heard of the book. It looks like a fun book and hopefully she’ll be at SacTown VegFest too.